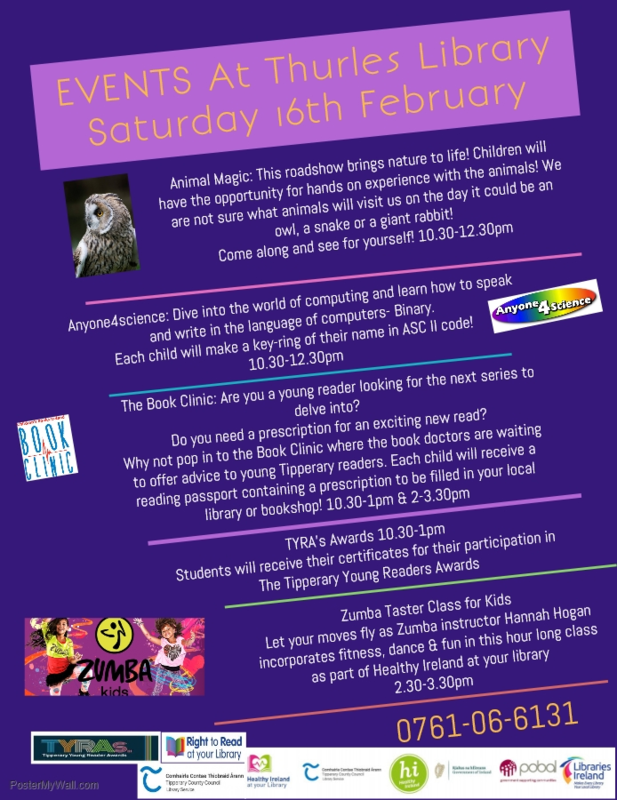 Come along to Thurles library this Saturday 16th February for the many fun activities taking place throughout the day! Children who completed the TYRA’s (Tipperary Young Readers Awards) can pop into the library to collect their awards from 10.30-1pm. Animal Magic will take place from 10.30-12.30pm along with Anyone4science!